Coverking Pet Seat Protector adjustable width to fit both Bucket or Bench Seats - Cordura Black. 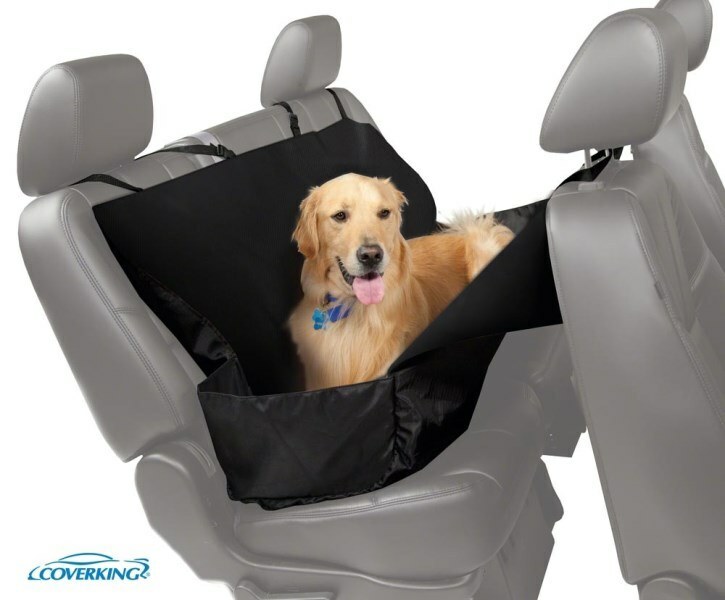 Add a durable barrier of protection for taking your favorite pet along for the ride. 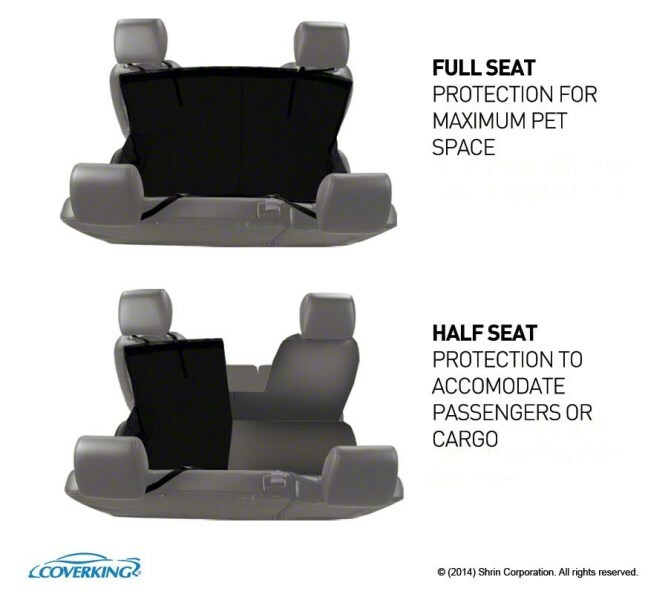 Coverking Seat Protector for Pets will defend your seats from pet hair, gouging claw marks and "accidents", keeping your interior looking like new. Coverking Seat Protectors are made of ballistic type polyester and can be easily cleaned by hosing it off or machine washing and air drying. Installation is quick and easy with the quick release straps. Simply secure the straps around the headrest or use hook/loop fasteners for seats without a headrest. If you need rear passenger space, no problem! The Seat Protector zips up and folds onto itself to about half its size. The Coverking Seat Protector for Pets is adjustabe & can be used with either bench or bucket type seats.